I am often asked where I get the ideas for my books. All stories start with an idea, right? The idea is the thing that gets you excited about writing. It’s the thing you need to remember when you’re 30,000 words in and you can’t remember why you started that stupid book in the first place. I know, I’ve been there. In fact, I’m there right now. When my son was about ten he said to me, “Mom, I had a nightmare. 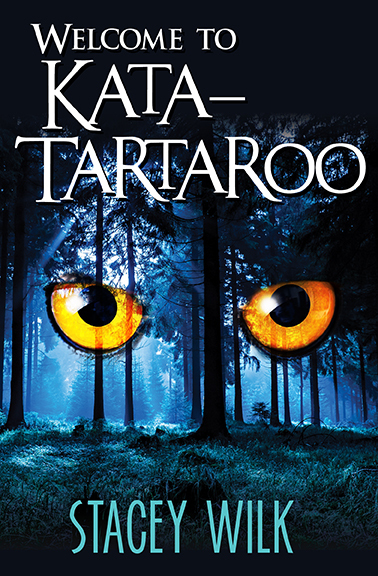 I was trapped in Hell and I had to answer math questions to get out.” And the idea for Welcome To Kata-Tartaroo was born. When I wrote the second book in the series, Welcome To Bibliotheca, I wanted to revolve the adventure around a quirky character trait of my main character. He’s a kid that loves the library. And that story was born. Inspiration can come from something someone said. In 1967, Smokey Robinson was shopping for a Christmas gift for his wife with Motown producer Al Cleveland. Mr. Cleveland meant to say, “I second that motion.” A very common phrase. Instead he said, “I second that emotion.” The men went home and wrote a song around that misspoken phrase. It was a #1 R& B hit. Inspiration comes from stories on the news or life experience. But be careful about the life experience thing. I hear a lot, “you should write my life story.” Yeah – No. Not everyone’s story is interesting enough. Sorry. Hard truth. That adage, write what you know, doesn’t mean tell your life story in a book. It means write what you know and if you don’t know something research it. But we all take pieces of things from our lives or from people we know and incorporate that into our books. That’s perfectly fine. Inspiration can come from anywhere. What’s really important is what you do with that spark. Do you breathe life into it or do you let it burn out? Ideas really can come from anywhere! Glad you liked the blog and I’m super glad you enjoyed my book. Say thanks to your sister-in-law for me. Hope she likes it too. Did you pick up writing tips from my book? I can’t tell you, as a writer, teacher, and editor, how happy that makes me. So glad I can help. One of the worst byproducts of telling people what you do at cocktail parties is that you’ll often get this response: “You’re a writer? Holy $#!& — my life would make the best story!” Umm… no. Few real-life stories are interesting enough to make for a coherent, compelling, thematically unified narrative. Inspiration can often come when you see a way to combine or connect two disparate conceits. We were just talking about this over at my blog, Stacey: George Lucas took his fascination with anthropology and his love of the old Republic serials, merged the two, and Indiana Jones was born. Dan Aykroyd took the Bob Hope ghost comedies of the forties and re-envisioned them with speculative “ghost-hunting” technologies that emerged from the parapsychological research conducted in the 1970s to create Ghostbusters. Anne Rice’s Interview with the Vampire was just a domestic drama, but with vampires, which had previously been relegated to the role of unkillable antagonist in horror stories like Dracula. You take two familiar things that haven’t traditionally been associated with one another, and from that something new is created. That’s the way I approach all my projects. Hi, Stacey. I hopped here from Sean Carlin’s having included us both in his #FF on Twitter. I couldn’t find any french fries here, but I enjoyed reading. And that list is certainly not exhaustive. I don’t often reflect upon where my own inspiration comes from, so your post here created space and a catalyst to do that. Thanks. Hi Erik! Thanks for stopping by and commenting. I appreciate that. I love that you can create silence and wait to see what fills it. Silence is a hard thing for me and I’m always trying to get better at it because I know I’m missing things that inner voice is trying to tell me. You’ve inspired me to keep at it. What’s with the french fries? You’ll only find cannolis here. Or other Italian pastries. Sorry. As for silence, it’s something I write and talk a lot about. It definitely can be hard for people, but it’s like any other “exercise”: it gets easier with practice. Unlike regular exercise, however — it can also come to be enjoyable. If I can remember later on today, I’d love to pull the chapter called “Silence” out of my book, The Best Advice So Far, and send you a link. I think it would add some perspective. Also, as fate would have it, the blog post I put up later this afternoon has much to do with ways to cultivate silence into our lives. Keep at it! It’s invaluable. I had time to create an excerpt of that book chapter on “Silence,” Stacey. HERE’S THE LINK to that excerpt. I hope you find it helpful. Thanks, Erik! I’ll check it out.